Sales very Exclusive Model of Estnation x Seiko Giugiaro designed digital chronograph SBJG011 Limited Edition 300 pcs. that features Black Stainless steel case with hard coating and has aluminum bezel. 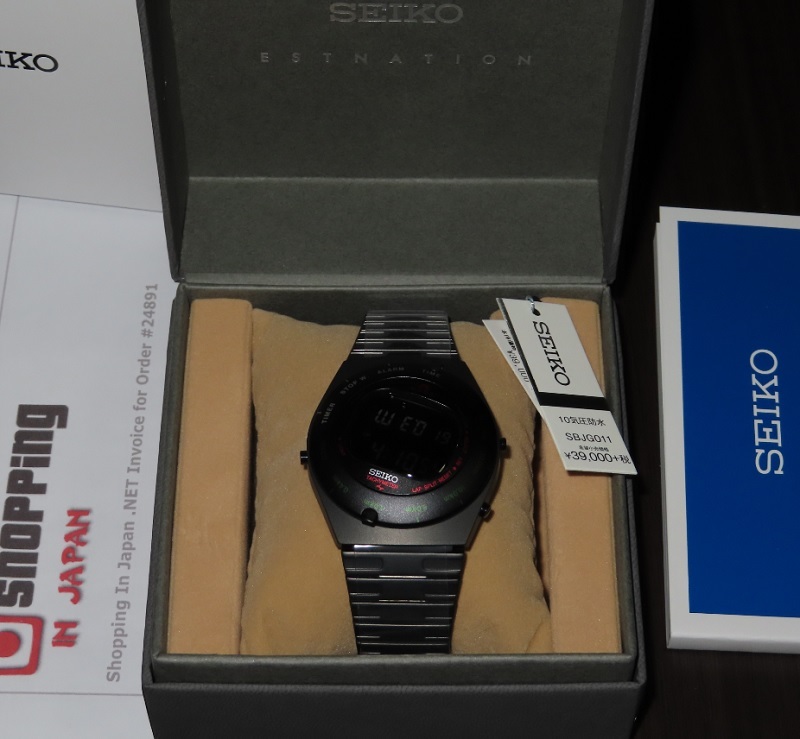 This Seiko digital limited SBJG011 is a JDM (Japanese Domestic Market) watch model and it's now in our stock - ready to ship within 48 hours to any country. So buy now before it’s too late!